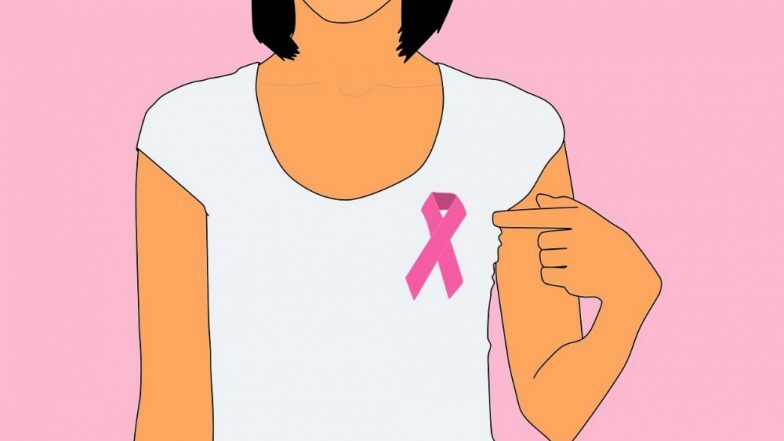 Beijing, April 10: Chinese researchers have revealed the mechanism of how chronic stress promotes breast cancer development, shedding light on future clinical treatment for cancer. Cancer patients often suffer negative emotions such as anxiety, despair and fear, which are risk factors facilitating tumour growth as well as promoting cancer progression. However, the specific mechanisms of how chronic stress affects cancer development remains unknown yet. Breast Implants Crackdown: France Becomes First Country to Ban Prosthesis Linked to Rare Cancer; Canada Decides to Suspend Its Sale. Researchers from the Dalian Medical University in China found that chronic stress might increase epinephrine levels, which enhances lactate dehydrogenase A (LDHA) and promotes breast cancer stem-like cells, Xinhua reported. Using a drug screen that targeted LDHA, they found that Vitamin C reversed the chronic stress-induced cancer stem-like phenotype. "The LDHA-lowering agent Vitamin C can be a potential approach for combating stress-associated breast cancer," Qiang said, in the paper published in the Journal of Clinical Investigation. US Woman Removes 'Toxic' Breast Implants After Being Sick For Years: What is Breast Implant Illness? Qiang noted that patients with breast cancer, ovarian cancer and stomach cancer often have negative emotions, which in turn accelerates the development of their own tumours. This Woman's Botched up Breast Implants Turned Them Into 'Rocks'! Know about Capsular Contracture.